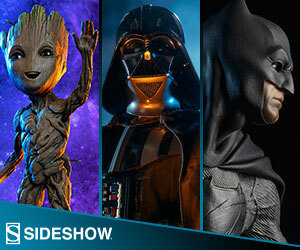 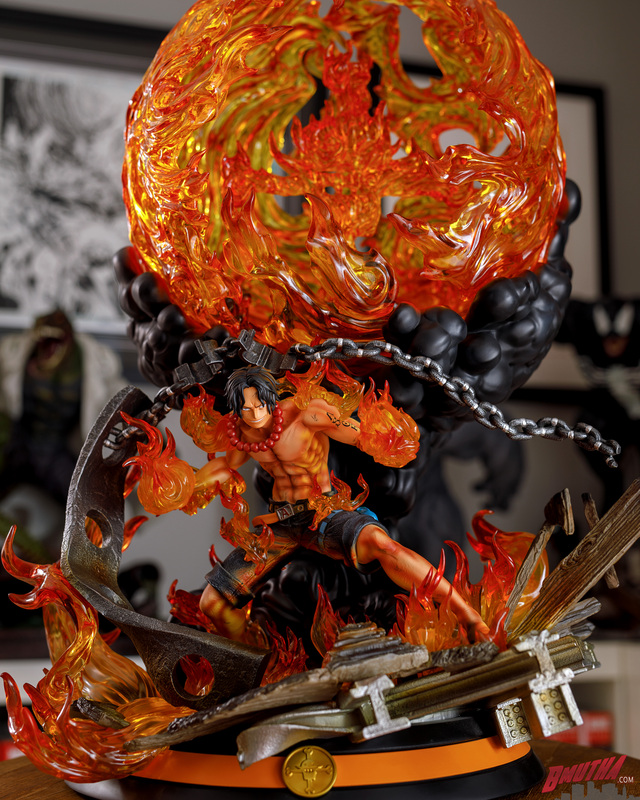 As seen in the review video above and the unboxing video below, this statue has a fantastic light-up feature with synchronized sound effects. 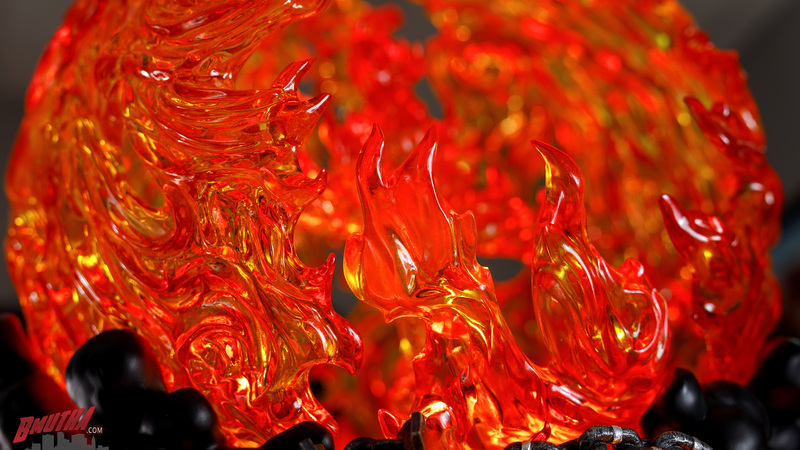 These features are awesome, but, let’s face it…you are not likely to be using these features most of the time. 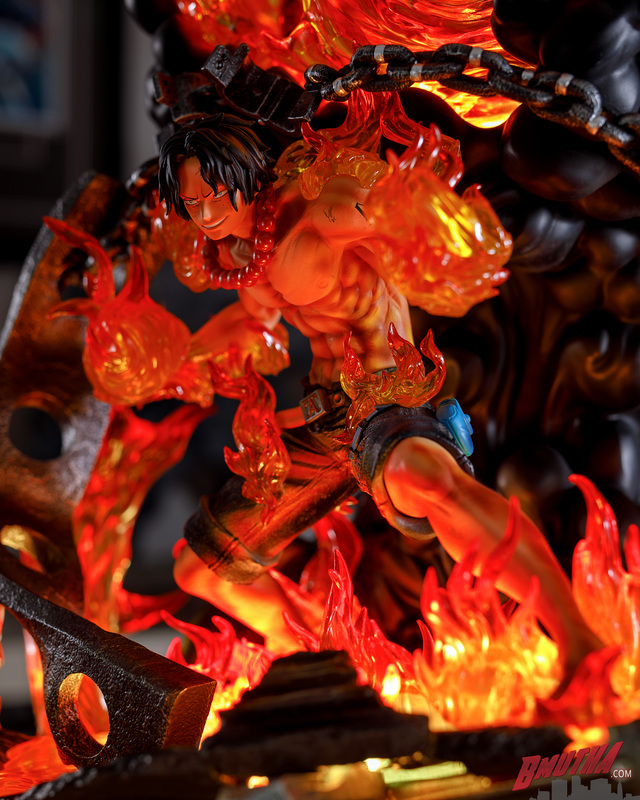 That is why it is so important for the statue to look great without them. 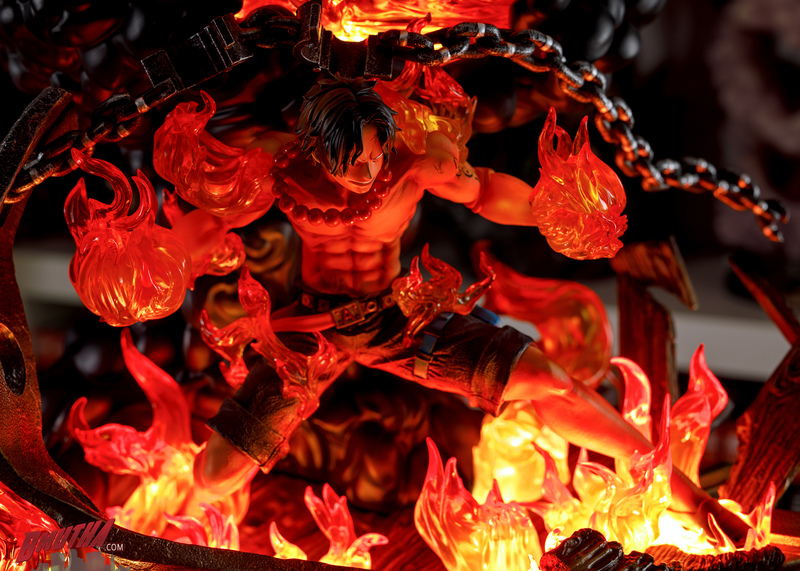 Tsume really went all out with the paint job on this piece, replicating the glowing light effect from the flames on his skin, clothing, hair, and across the environment around him. 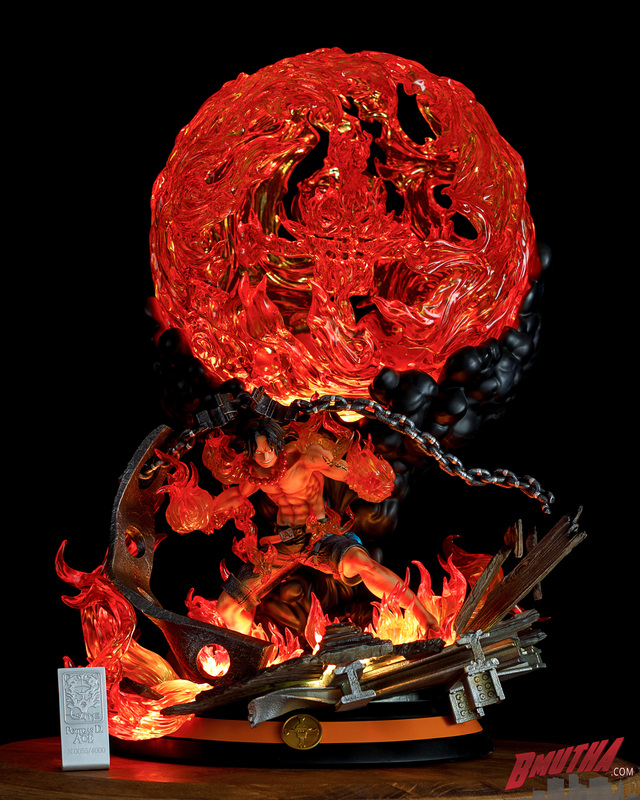 The statue really looks like the flames are dancing and flickering before your eyes, whether you have the lights on or not! 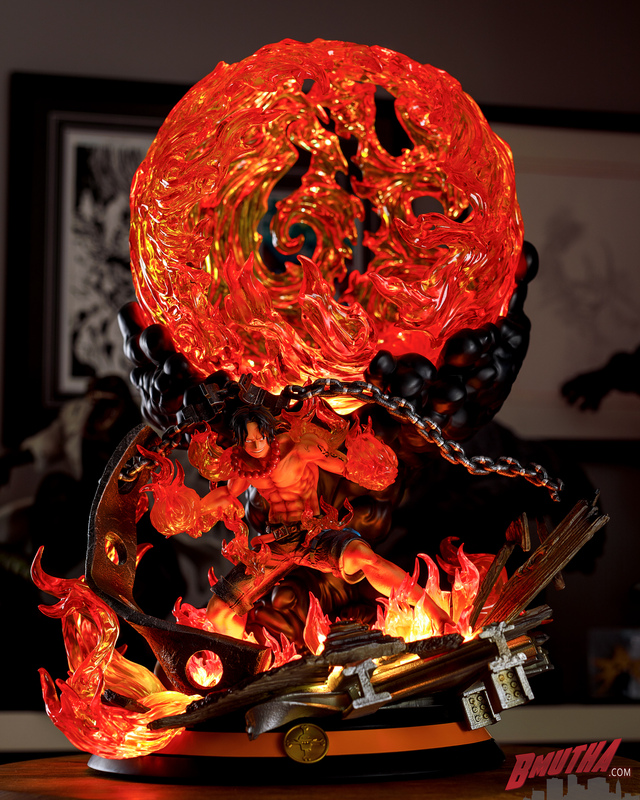 We were lucky to review Tsume’s Vegeta last year, and were blown away by the quality of the clear resin on that statue. 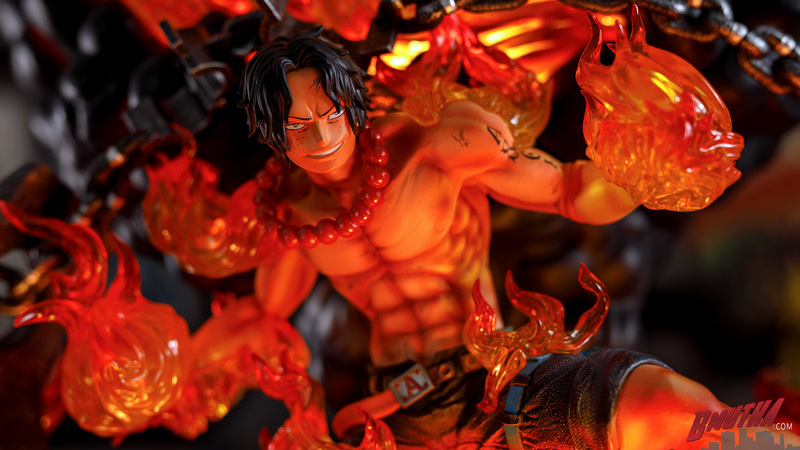 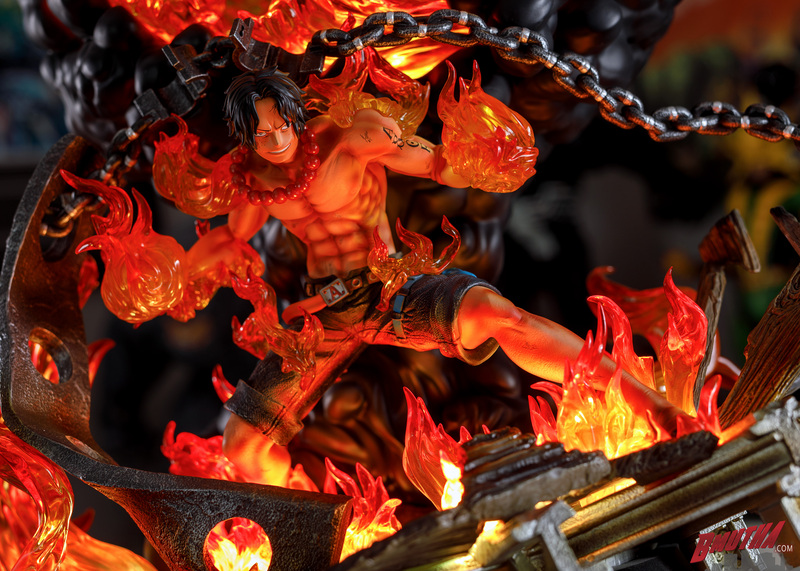 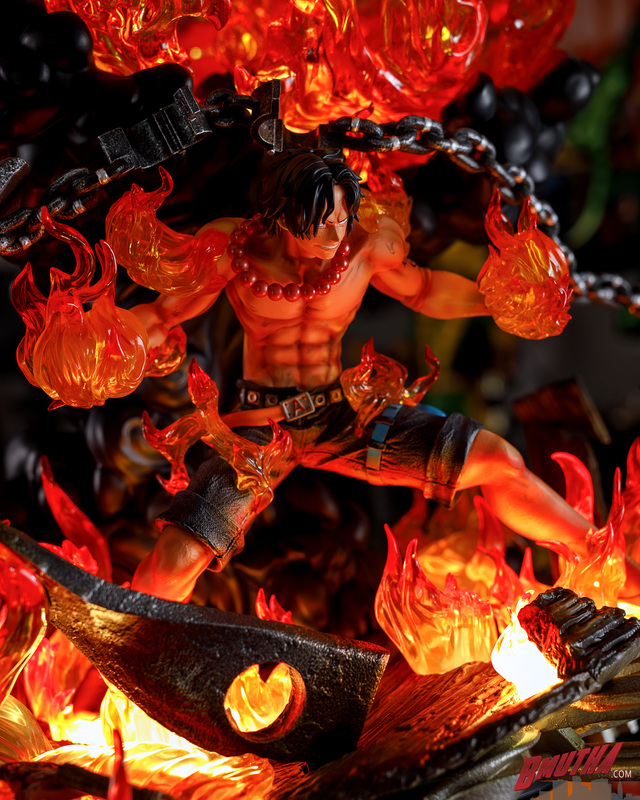 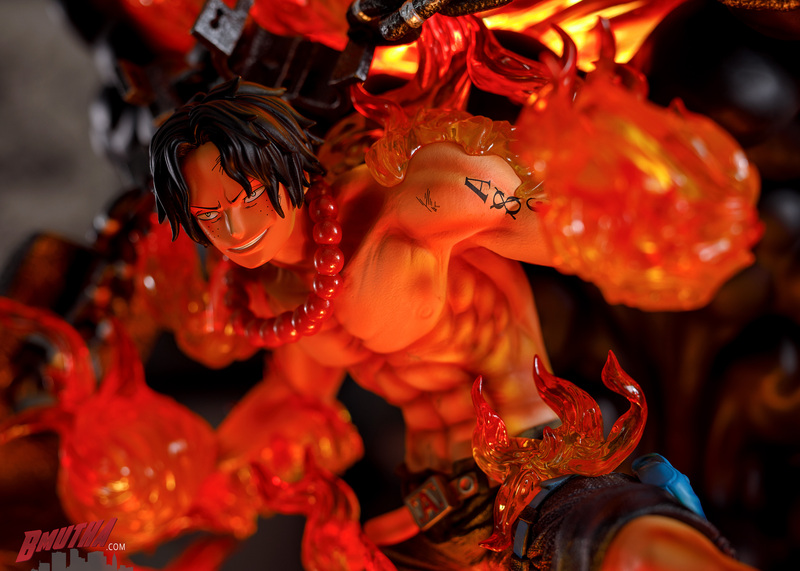 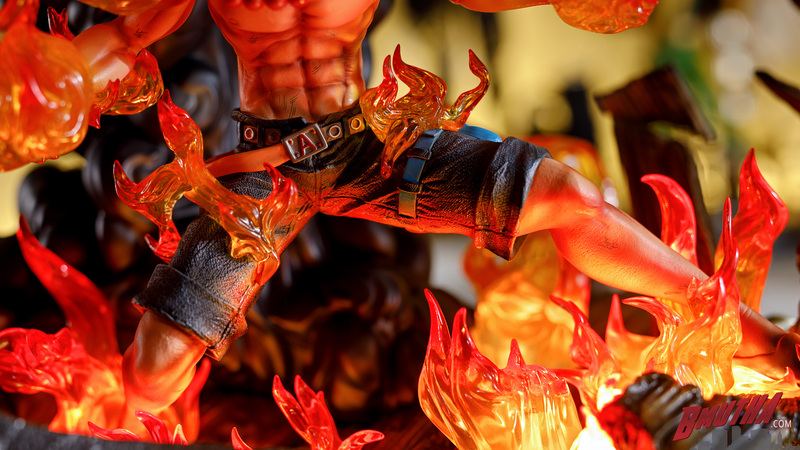 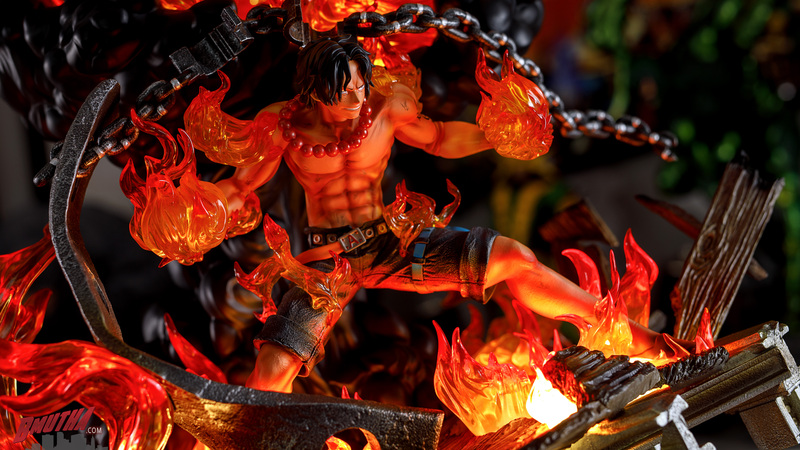 For this review, we are echoing that sentiment…the massive fireball, the whitebeard cross, and the dancing flames around Ace turned out amazing. 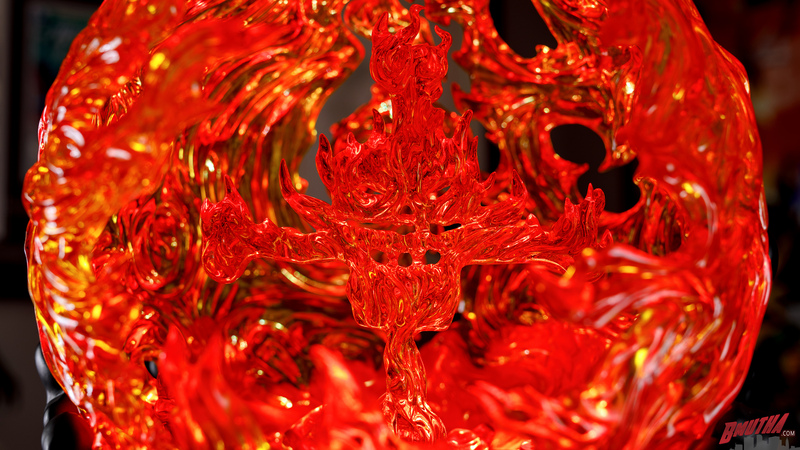 the flames have a crystal clear, glass-like quality that reinforces in our mind that Tsume is at the top of the industry with regards to clear resin usage. 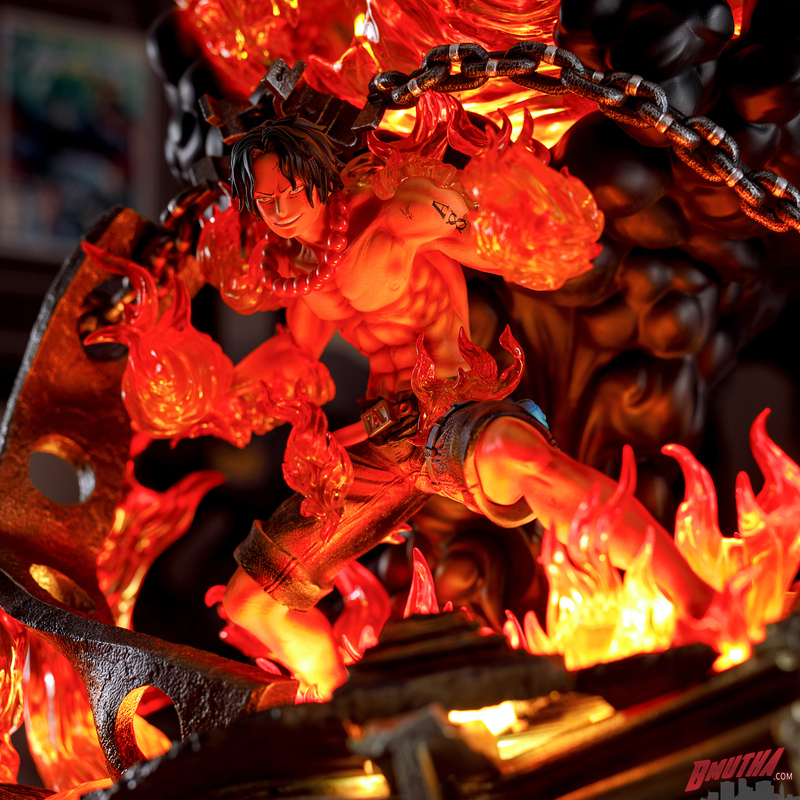 This quality again helps the statue to look great with or without the lights on. 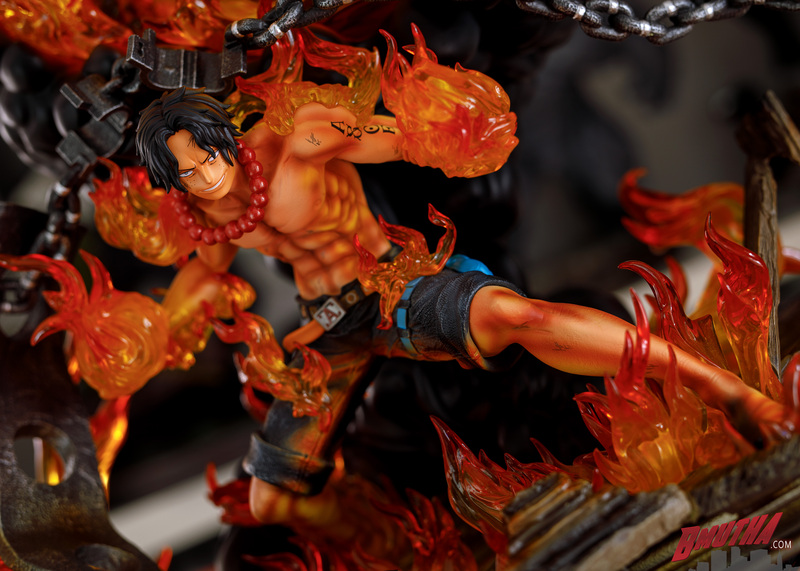 Admittedly, the One Piece saga is not an area of expertise for us. 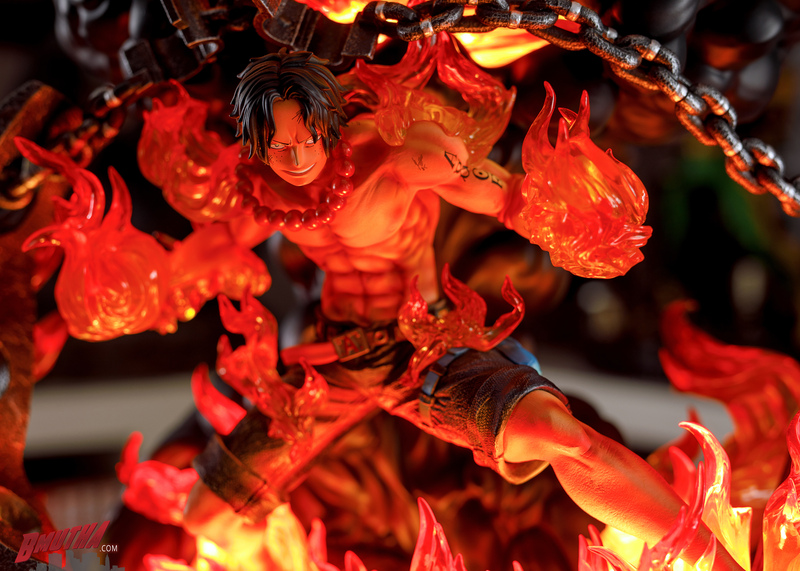 However, we are familiar with the key arc for the character Ace, and that is the Marineford arc. 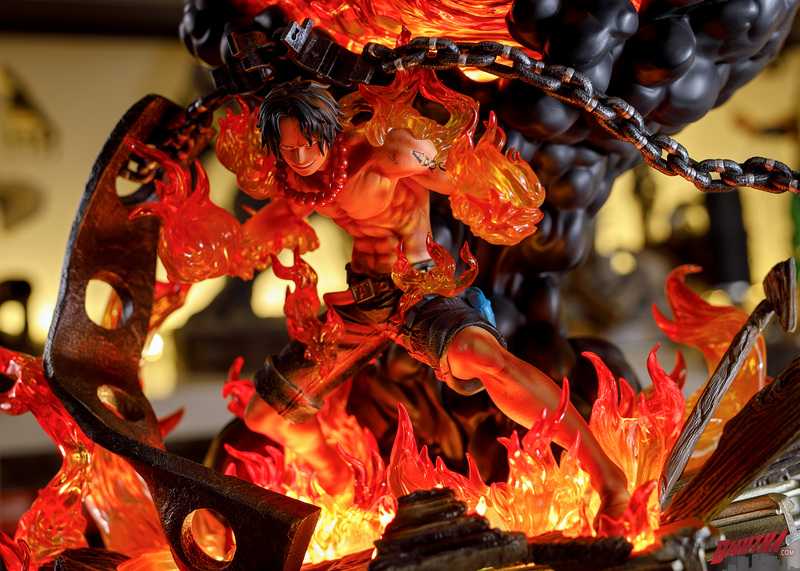 The enormous fireball and black cloud at the back of the statue represent Ace’s epic confrontation with Blackbeard. 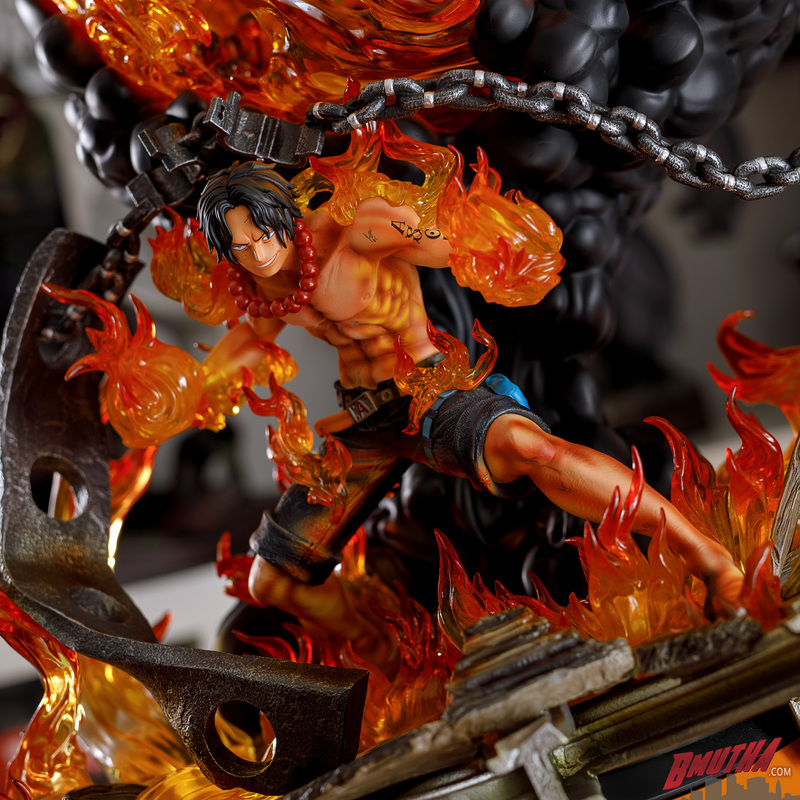 While the broken, flailing chain and handcuffs above Ace’s head and collapsing steel and wooden scaffolding are from the scene where Luffy frees Ace moments before his execution. 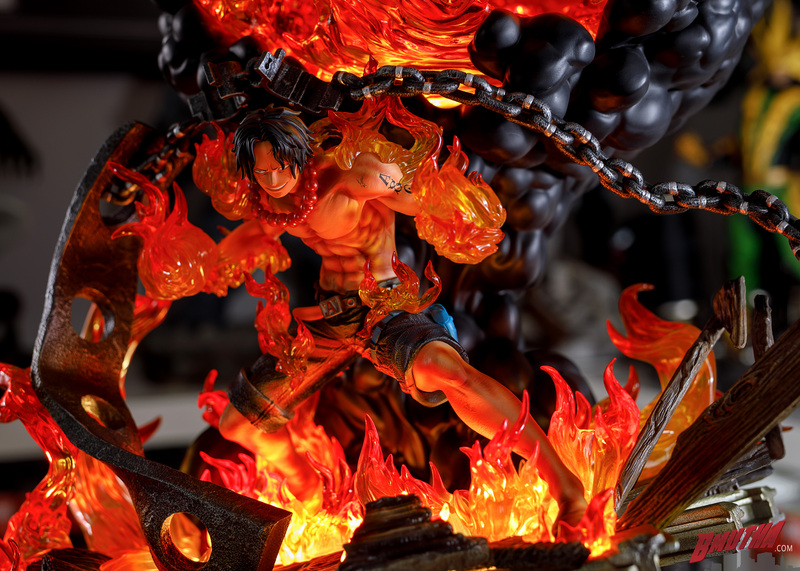 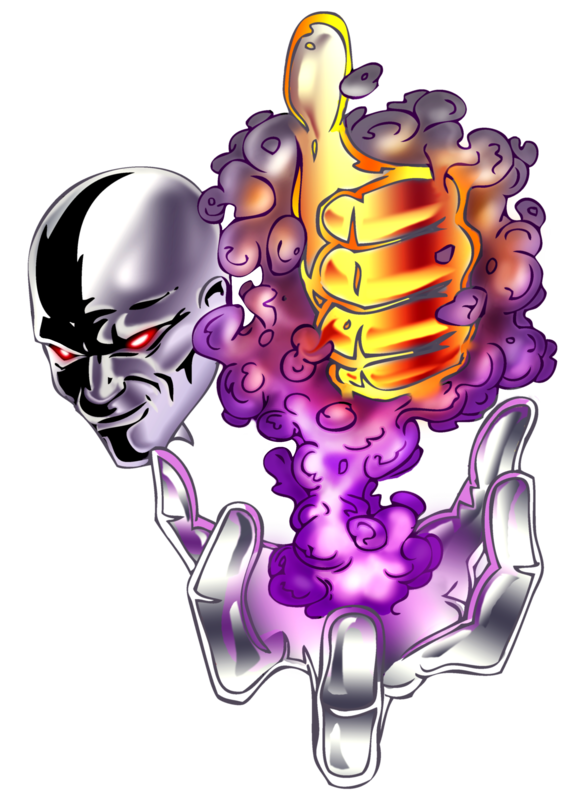 This statue is a tribute to the final arc of the character, and summarizes several key moments in his life. 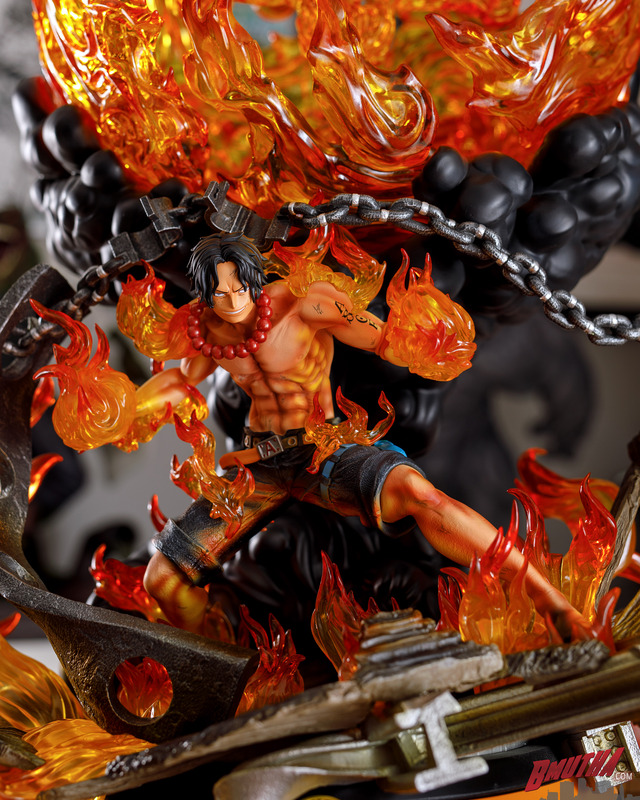 Tsume put a ton of thought and careful consideration into the design of this statue in order to capture what they felt was the most prominent story for Ace. They did an amazing job, and that’s why the design tops our list of favourite things about the piece. 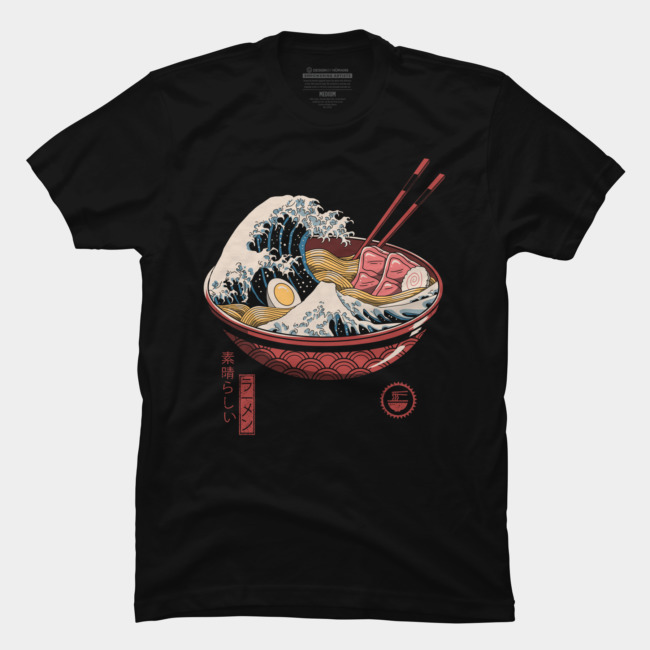 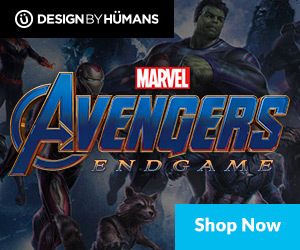 Click the image above to buy the tee seen in the review video and help support the site! 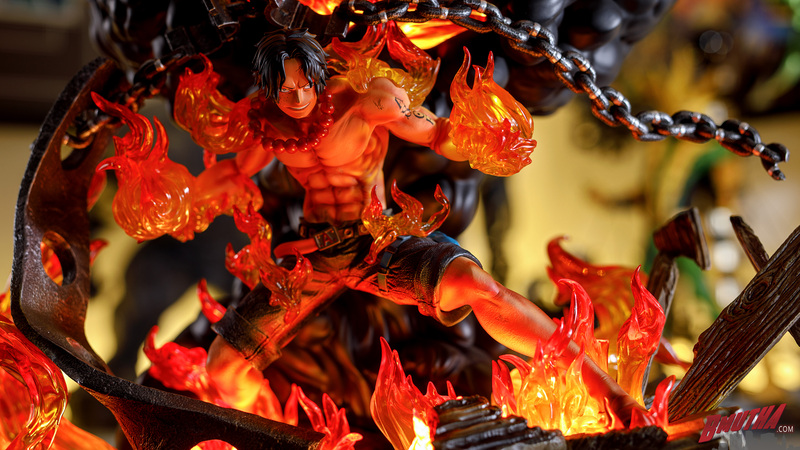 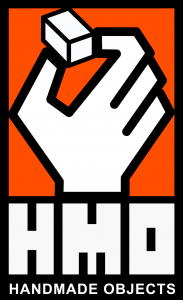 Posted in Review, Tsume-Art and tagged Anime, manga, one piece.